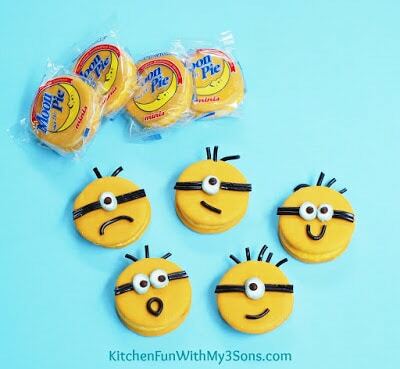 We came up with these fun Mini Minion Moon Pies today and these take just a few minutes to make! 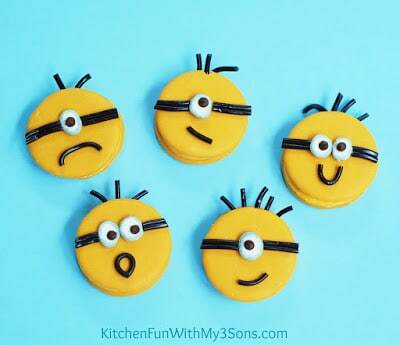 My boys loved them and excited to see the new Minion movie. Start out by placing your moon pies on a work surface. Melt the white candy coating according to the package directions. Mix in 2-3 drops of the gray food coloring. Cut the mini marshmallows in half and attach them on for eyes using the melted chocolate & a toothpick. 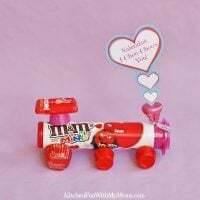 Use a toothpick to color the edges of your mini marshmallow halves with the melted chocolate. Your black candy strings will have some that are two stuck together. Use two of those strings for the band around the glasses. 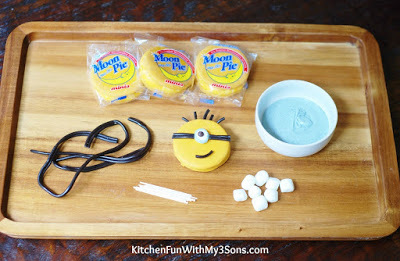 Cut off pieces of the strings and poke them in the top of the moon pies to look like hair. 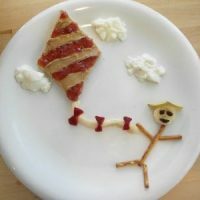 Break off pieces of the strings for the mouth. 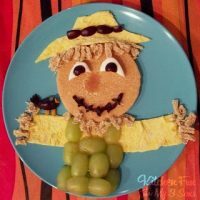 Attach everything else on with the melted chocolate. 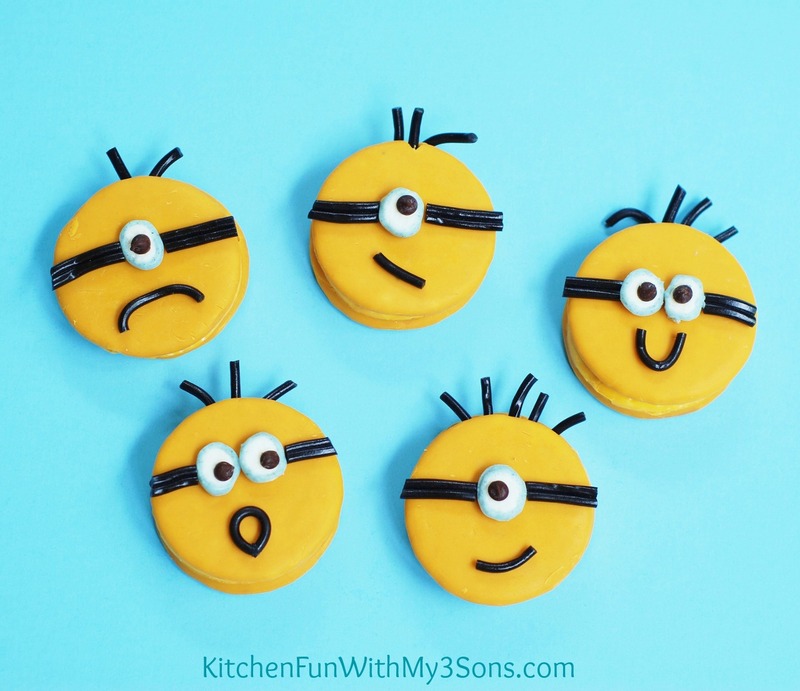 These are so cute & simple to make for a fun afternoon treat or would be awesome for a Minion Party! 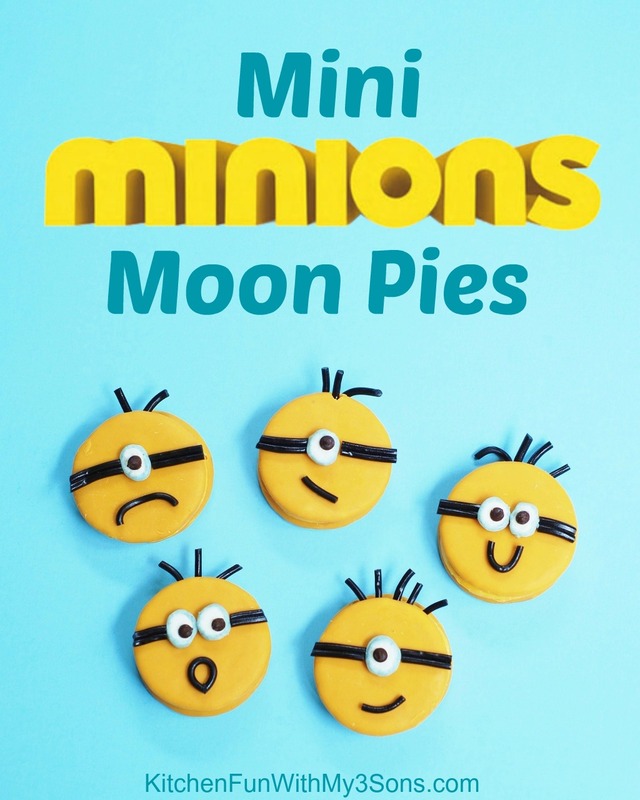 If you like our Mini MINION Moon Pies…make sure to check out our other fun Minion & other Cartoon food ideas HERE!